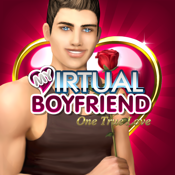 My Virtual Boyfriend is the #1 boyfriend dating sim in the world! 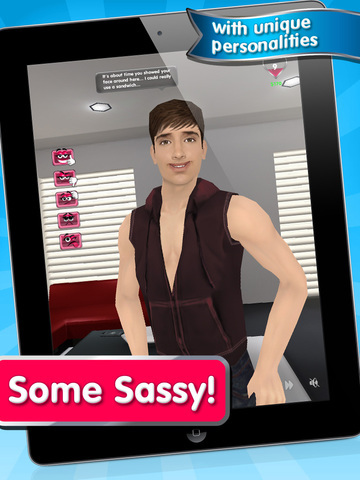 It boasts hundreds of handsome hotties to choose from, all with their own unique personalities and appearance. Types to choose from include: Alpha Urban, Geek, Metrosexual and the Lover! - Who might just melt your heart with his poetic compliments. What can i do with him? - Lots! Engage in a conversation, Take actions, Go on activities like mini golf or a dinner date, You can also physically interact with him - touch, tickle or even slap him if you like. You can get him gifts if he's sweet, and If you get him a new outfit- he will even wear it for you. Every choice you make has it's own rewards or consequences as you try to appeal to his personality and personal side. As you progress in your relationship- He will grow to like you more and with each new level achieved, it will open up new ways of interacting with him. There are 35+ levels in the game, and once you achieve the last level, He will fall in love and you've won the game! You can either keep him at that point or dump him and find a new man. It's all up to you. It's all about flirting and romance - so just how good of a flirt are you? 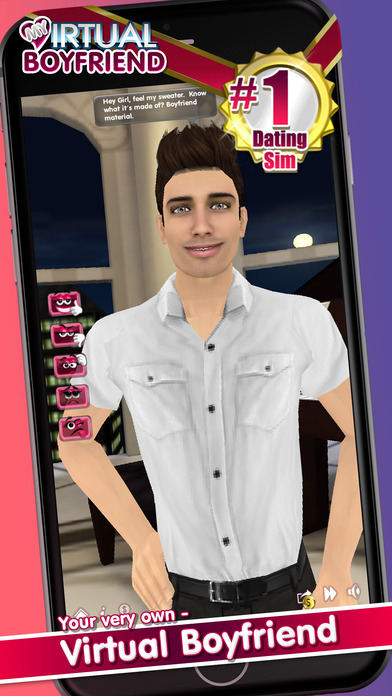 ► Face mapping allows you to place ANY face on him using your iPhone's camera or photo library - You can turn him into your real life crush! Well, what are you waiting for? Take one home today!